Leon Hendrix joined the WOOD TV team in July 2007. 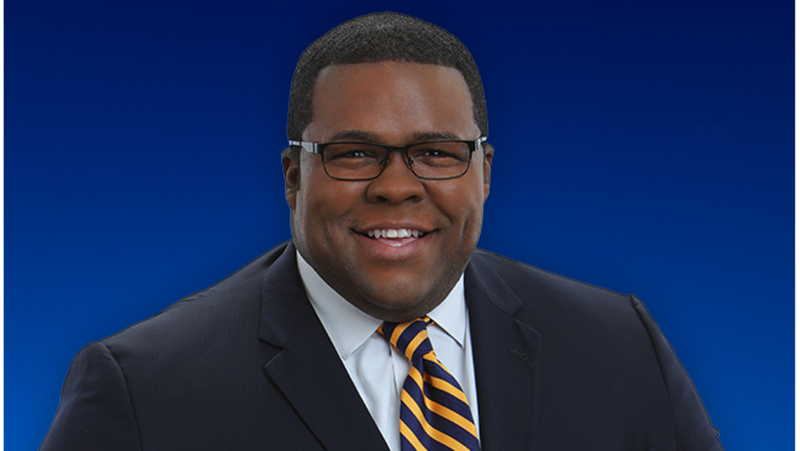 He currently serves as 24 Hour News 8’s weekend evening anchor and as a reporter during the week. Leon’s work has been recognized by his colleagues over the years with nods from the Michigan Association of Broadcasters for best investigative reporting and an Emmy nomination for news writing. A Grand Rapids native, Leon has been a part of covering many major events that have impacted the lives of the West Michigan community – from the flooding disaster of 2013 to the crash of a medical helicopter atop West Michigan’s largest hospital in 2008. Leon’s broadcasting career began when he was young. His first live broadcast was as a volunteer auctioneer at the PBS affiliate in Grand Rapids when he was in ninth grade. Leon is a graduate of Lee High School in Wyoming. He then attended Hope College in Holland, Mich. where he studied communications and Spanish, and served as the news and sports director for the campus radio station. After interning at WXMI-TV in Grand Rapids, Leon was hired at WOOD TV8 as a part-time weekend associate producer and assignment editor. He was promoted to reporter a few months later. Leon lives in the Grand Rapids area with his wife. He enjoys telling the stories of West Michigan – a place he’s always called home. A Grand Rapids-area church has adopted a portion of US-131 in need of some significant cleanup. If plans stay on track, construction of downtown Holland’s new movie theater will be complete by the beginning of June. Police say a bullet grazed a man’s head after shots were fired near the busy intersection of Franklin Street, and Eastern Avenue. Court records point to a troubled history with women for the man police say shot and killed his girlfriend over the weekend. The woman who died after police say her boyfriend shot her leaves behind a grieving family that includes four children. A now former teacher with the Kent Career Technical Center has been charged for allegedly hitting one of her students in class.